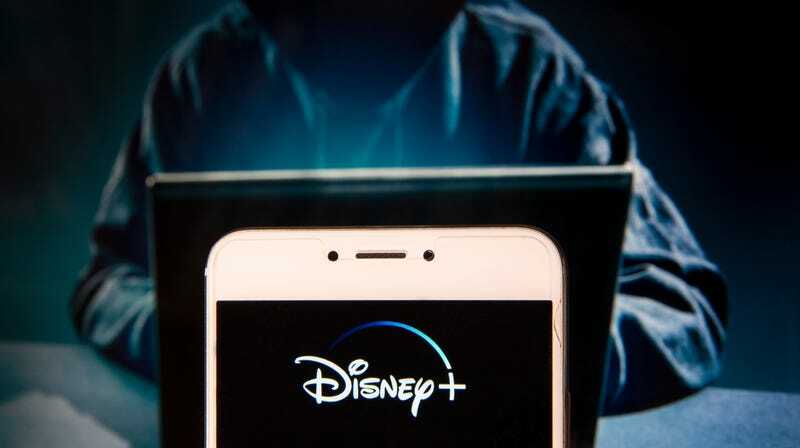 Good news for fans of increasingly entrenched, cheerfully leviathan media oligarchies this week, as Disney’s steady progression from owning Most Things to owning Every Thing continued apace, courtesy of its ongoing work on the upcoming Disney+ streaming service. It’s become increasingly clear over the last year or so that Disney isn’t just positioning the service—set to debut in late 2019, and sporting content from its Marvel, Star Wars, Pixar, and home studio brands—as one more set of passwords you’ll have to wrangle out of your mom; soon-to-be-departing CEO Bob Iger is viewing this thing as his ultimate legacy within the company, and is thus throwing a hefty slice of Mickey Mouse’s gargantuan coffers at the project in order to ensure that the Netflix killer is capable of taking its best shot at the throne. By comparison, the projected budget for Disney+’s initial slate of offerings is a relatively spry $500 million, being tossed at shows like Jon Favreau’s Star Wars Western The Mandalorian, and the assorted limited series based on various Marvel Cinematic Universe heroes that are reportedly in the works. There are other big costs hidden under that number, though; as the steady culling of the popular Netflix Marvel shows made clear, Disney is going to have to forego huge amounts of money in licensing fees from other services in order to maintain the exclusivity on its own library of content, and that adds up fast. Disney hasn’t started talking about price points for the service yet, but analysts are expecting it to operate at a loss for multiple years before it starts making up for the loss of licensing revenue. The overall consensus here is that Disney+ is going to live or die, not on the strength of the company’s library of past successes, but on the original new programming it can bring to the table. The easy assumption is that the project is Too Big To Fail—it’s been a while since Disney threw its full resources behind something and didn’t achieve its desired result, in some form or another—but Variety’s piece also paints a picture of a company still struggling to figure out how much content to shunt off to its new digital little brother, and executives with relatively little experience at green-lighting movies and shows, especially outside a traditional TV structure. (The company will reportedly be leaning on some of its Disney Channel execs, who have expertise in low-budget TV movie success, to help figure out its strategies here.) It’s extremely weird to think of Disney—that multi-headed, multi-billion-dollar hydra—as a scrappy underdog in anything, ever, but it’s clear that the company is still trying to figure out how the hell this thing is going to work, even as the clock toward launch time ticks down.